IMS has recruited Sony Pictures publicity, promotions and media manager Stephen Murphy as business development manager, and changed its name to Imagination Marketing. Murphy, who worked at Sony Pictures Entertainment’s Northern Europe division, will be responsible for driving new business at the agency. Its new look incorporates a new logo and website. Simone Moretta, Imagination Marketing’s joint-owner and managing director, said: "We have seen a significant increase in our prize, promotions, incentive travel and brand partnership business in the last six months and we are delighted to welcome Stephen on board as someone who is an expert with such high profile campaigns, clients and who has industry-wide contacts." Commenting on the agency relaunch, Moretta added: "We spent a happy 12 years being known as IMS Limited but in 2012 we decided to come out and be true to our full name. 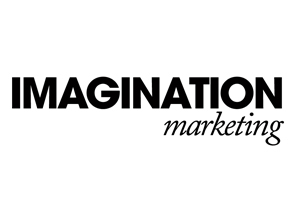 "Imagination Marketing better reflects our offering to clients of access-all-areas tickets at sold-out events, amazing accommodation with beautiful backdrops, dream-come-true opportunities and astonishing adventures." The agency provides its clients, which include media owners, consumer brands, film studios and creative agencies, with staff incentive packages, consumer promotions and competitions.